India is home to one of the largest rail transport networks in the world carrying millions of passengers throughout the length and breadth of the country. Looking out from the window seat of one such train journey, a young man realized that the window seat is like a travelling cinemascope. A cinemascope with forever changing landscapes, people and their stories; whatever is there to learn about our country, he felt can be done by observing through the window seat. This led to the birth of the Window Seat Project, a photo project documenting people and places seen from the window seat of a train. The young man has taken over 200 rides throughout India, clicking over 8000 photos portraying the beauty of India from train windows. He is Shanu Babar, not just any cinematographer but the one who has made this a crowd-sourced project so we could all be a part of the larger collage comprising stories of India. Babar’s photographs never fail to bring a smile onto the faces of viewers. For the man who gifts smiles to others, while he stays away from his home, there is a sweet surprise. The ‘smile’ cookie, Britannia Good Day is felicitating him as one of the Smile Makers of India. He gets an International holiday with his family! 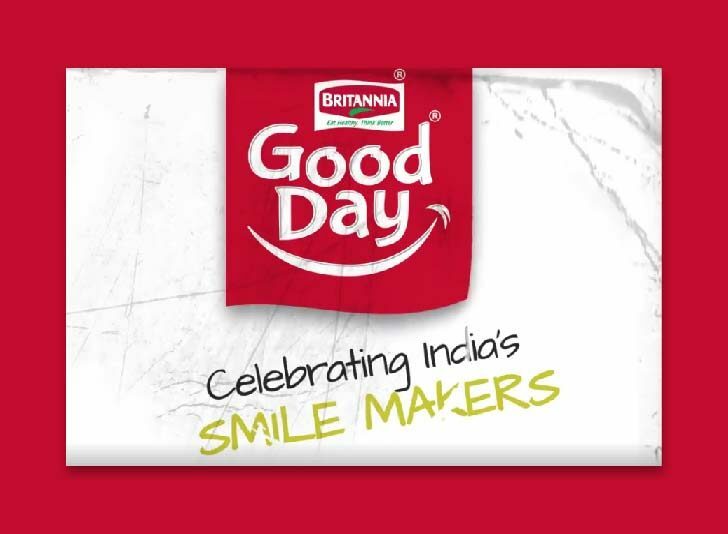 Celebrating 2018 as the Year of Smiles, Britannia Good Day has launched a nation- wide initiative called the ‘Britannia Good Day – Smile Makers of India’. The campaign recognizes people from different walks of life, who through exemplary acts, have spread smiles to millions of Indians. The initiative has been launched in partnership with The Better India, Asia’s largest solution-based media platform. As part of the ‘Year of Smiles’ celebrations, the brand rolled out the Great International Family Holiday in January. Aimed to bring together near and dear ones, be it family or friends, to take time out for a holiday, the brand commenced with the Smile Makers of India, who usually stay away from their families. Each of the Smile Maker is being gifted with an international holiday with their family. Britannia Good Day and The Better India have rolled out a series of Facebook videos of Smile Makers and are asking viewers to share them. Lt. Col. Dr Srinivas Gokulnath, another smile maker to be felicitated is an army doctor by profession, and a cyclist by passion. Last year, he cycled 3,000 miles across 12 Indian states, and climbed 1,70,000 vertical feet, to become the first Indian to complete Race Across America (RAAM) 2017. GIFTING SMILES, ONE LIFE AT A TIME! ‘Nanis on the highway’ as they are popularly known, is a group of middle-aged women who decided to break social stereotypes and set out on an epic journey of new life experiences. This is the story of Smile Makers: Neeru Gandhi, Monicka Chanana, Sarita Manocha and Pratibha Sabharwal. Devendra Jhajharia, Indian Paralympic javelin thrower who became the first Indian to win gold twice at the Paralympics is also part of the smile maker squad. For all the smiles he brings our country, we wanted to give something to Devendra Jhajharia that'd make him and his family smile! A great international family holiday! Here's his story! The Great International Family Holiday is also on offer to 60 families or groups of friends. To win an all-expenses paid holiday to international destinations, all that one needs to do is grab a packet of Good Day, SMS the lot no. mentioned behind the pack to 7259188888 and stand a chance to be one of the lucky winners to take his/her family on a memorable holiday. Along with videos, the brand’s social media pages have been promoting the Great International Family Holiday with video skits in association with Filter Copy and sharing winner lists. Cousins? Nah, we’re best friends! Ever since the good old cookie revamped as the ‘smiley’ cookie back in 2015, Britannia Good Day has been rolling out an array of marketing campaigns communicating the same. #SmileForAGoodDay leveraged both online and offline to spread smiles. It even got people to take a pledge to smile on World Smile Day. The smile mission evolved to #SmileMoreForAGoodDay with Deepika Padukone as the smile ambassador in the next year. The team used strategic content marketing to reach out to digital audiences with its message to smile more often. For a brand mapping an existence over three decades, it has been quite a journey refreshing itself for the new age consumer. Celebrating this year as the Year of Smiles helps carry its smile mission further. Recognizing and celebrating achievers as Smile Makers of India, gets the brand a strategic association with smiles. Moreover, Britannia Good Day, the smile cookie is now the enabler of smiles too, with free family holidays and spreading inspiring stories.